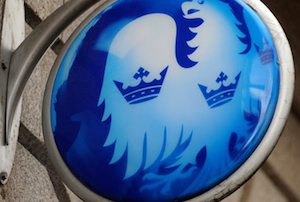 Customers are abandoning Barclays' anonymous trading platform in their droves, according to figures by the Financial Regulatory Authority. The obscure world of the Barclays darkpool is getting even more obscure, new figures show: it turns out clients are falling over themselves to get out of it, after New York's attorney general announced last month it's launched a lawsuit against the bank over alleged misconduct around its anonymous trading platform. Figures out by US watchdog the Financial Industry Regulatory Authority show Barclays dropped from second to 12th in the darkpool rankings by volume of shares traded in the week beginning June 30 (the latest figures available - the New York attorney general made his announcement on June 26). It's another blow to Barclays' investment arm, which the bank is in the process of rapidly shrinking anyway - although the plan so far has been to keep its equities business largely intact.